Is this the NEW Vitamin — The Energy Pill? While searching for anti-inflammatories, I came across one that cut C-reactive protein by 45% in just three weeks, while also cutting immunoglobulin 6 (IL-6), which happens to be one of those inflammatory cytokines we talk about in our paper Chronic Inflammation. It’s also a fat-soluble antioxidant that improves cognitive function, and is remarkably anti-aging, because it helps to grow back mitochondria in our cells. If you remember your high school biology, the mitochondria are the factories of our cells. They take nutrition and create energy to power each cell. What they didn’t teach you is that by age 67, 80% of your mitochondria are worn out, malfunctioning, or dead . . . just in case you’ve been wondering where all your energy went. Now let’s take a short digression (well, it might look like a digression, but just hear me out). There is a nutrient that, when Dr Sam Chachoua first went looking for it, because one of his patients really needed it, was super expensive. This was in the early nineties, and Sam paid over $500.00 for enough to keep one of his heart patients alive for a month or two. Dr Sam told me that he was just glad his patient was well off. 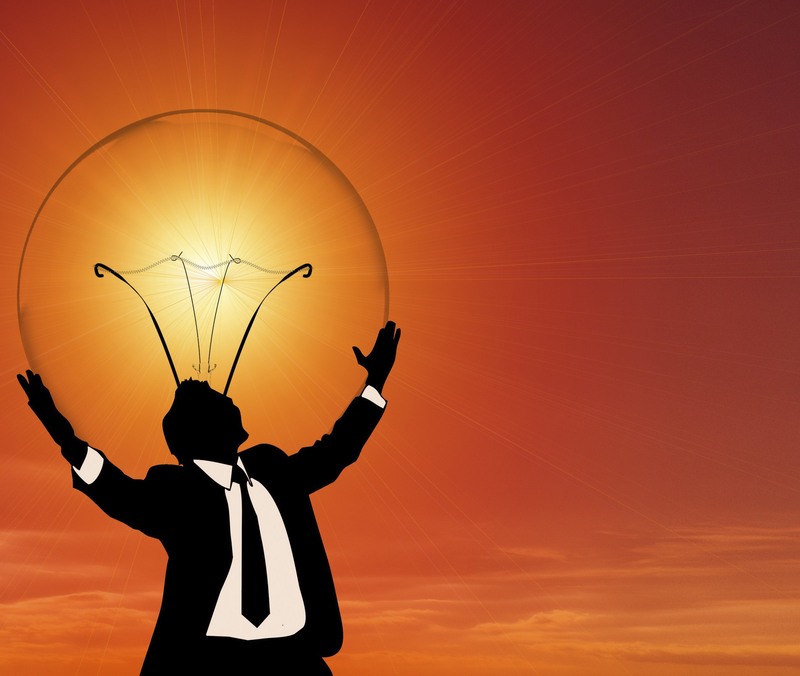 Discovered in 1957, and tested heavily through the eighties and nineties, scientists discovered something our bodies make that is required by every cell to generate energy. It’s called Coenzyme Q10. Perhaps you’ve heard of Ubiquinol, which is a concentrated form (distilled down, as it were) of CoQ10. It works better and faster than CoQ10, and many people buy that form. Perhaps you’ll also remember hearing about ATP in high school, that molecule that transferred chemical energy within the cell for metabolism, which, by the way, consumes the ATP. It’s within the mitochondria where ATP is produced, and it’s ubiquinol that is required by the mitochondria to make ATP. Our bodies consume and make (recycle, actually) our own body weight in ATP daily, and ubiquinol is required for that. If our bodies cannot manufacture enough CoQ10, we can get some from the food we eat, and we can supplement. One of the side effects of Statin Drugs is psychosis. The brain is made up of fat which is made up of cholesterol. Our brains need cholesterol. Every cell in the body needs CoQ10/ubiquinol, and if you’re suffering from Congestive Heart Failure, your heart needs it to survive. The first large studies on CoQ10 involved people with heart failure. What scientists then started discovering was that the older the patient, the less the CoQ10/Ubiquinol seemed to help. And this was when they figured out that as we age, our mitochondria start to fail, and at a certain age they start to die, and our engines are soon firing on just one cylinder. This is where PQQ comes in. But first a commercial for the entire universe. Friends, did you know that your bodies are made up of stardust? The crucial elements that make up life as we know it are carbon, hydrogen, nitrogen, oxygen, phosphorus and sulfur, which all come from the stars and just happen to be in abundance out here on the edge of the Milky Way Galaxy. 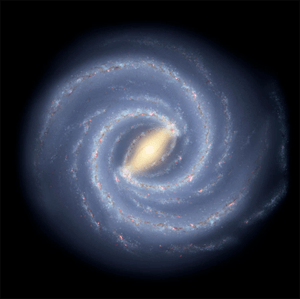 Here is an artist’s conception of a new NASA study that has mapped the abundance of elements found in the human body in the stars of our Milky Way. The stodgy writing by these scientists forces me to paraphrase their work for you: From the discovery that it’s been around since the beginning of time, they have concluded that it was probably present when life first formed on earth. This would make sense since, as stated above; it is a plant growth factor. In animals it appears to have influence over bodily functions with “apparent survival benefits” such as improved neonatal growth and reproductive performance. It is cognitive protective, immune enhancing, and a powerful antioxidant. It even protects us from events (heart and brain) that occur because of lack of oxygen, like strokes and heart attacks. 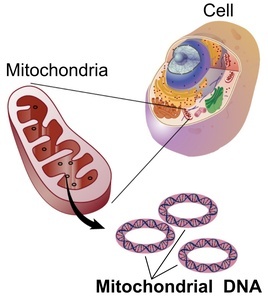 However, because of its ability to regrow new mitochondria and refresh tired, overworked mitochondria, those scientists feel that it might prove to be vital to life itself. Remember what Vital Amines eventually went on to be called? Vitamins? Yes, the scientists who wrote this paper are pretty sure that someday PQQ will be treated as a vitamin, and a minimal daily requirement will be established. So let’s sum up what we’ve got so far. PQQ rebuilds and regrows mitochondria that make energy in each living cell where ubiquinol is essential to the process of producing that energy. Ubiquinol, too, is cognitive protective in that it fuels the mitochondria in each of the neurons that are functioning within the brain. Both are cardio protective, in that PQQ protects the heart against oxidative stress while rebuilding the mitochondria, in which ubiquinol will help create the energy to fire on all eight cylinders and keep that heart working properly and efficiently. And when metabolism is running at its best, our blood pressure decreases and we start to lose the extra pounds. 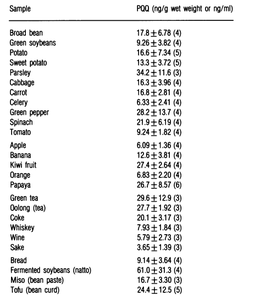 One study from Japan tried to tell me that we could get our PQQ from food, so they listed out the top 20 foods in their average diet and the amounts of PQQ. I entered them into Excel and sorted them from the most to the least. The amounts (in the right column) are listed in nanograms. 1 nanogram = .000000000001 milligrams. The studies mentioned above used amounts like 10 milligrams and 20 milligrams of PQQ. To get those numbers from your food, as you can see from the above table, you would have to walk into a supermarket and eat everything in aisle 6 (and maybe half of aisle 5). So as you can see, we are going to have to treat this nutrient as a rare vitamin and supplement if we want enough of it (especially as we age). I’ve been researching PQQ for some time now, but just haven’t gotten around to writing about it because I’m doing the work of 9 people (and three of them are totally incompetent). However, I felt moved to put this out now because one of our affiliate programs has a special on their version of PQQ and I wanted to tell you: DON’T BUY IT; IT’S OVER PRICED! 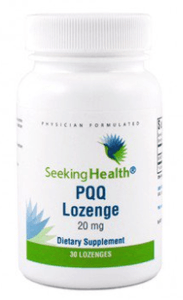 PQQ and Ubiquinol go hand-in-hand. If you want to take it with your other fatty supplements such as fish oils, Flexinol, Vitamin A, Vitamin E, and GLA (gamma linolenic acid), go right ahead. You usually write perfectly, but you misspelled in your supermarket sentence: “isle” should be “aisle”. I’m gonna blame my proofreaders! But thanx. And P.S. My writing is NEVER perfect. I type as fast as I can to get it out and hope my proofreaders are sharp that day.